Let’s face it, there is an abundance of automotive choices to make with today’s automotive landscape being the broadest it has ever been. When it comes to picking something relatively affordable and entry-level, options seem to become rather narrow. 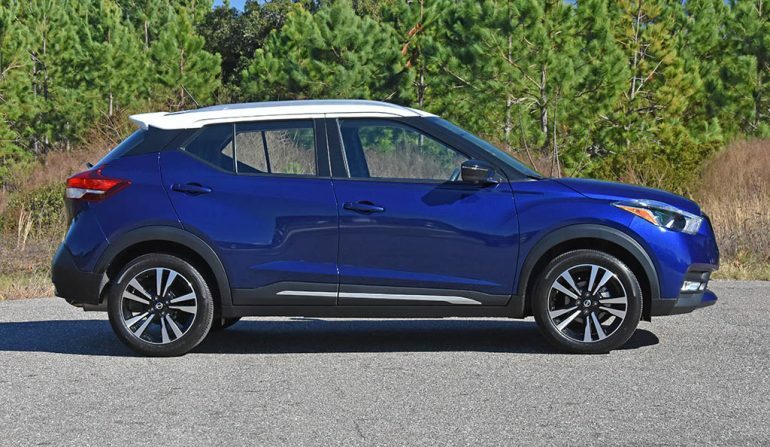 Fortunately, automotive brands like Nissan are expanding the affordability and entry-level offerings with new vehicles like the Nissan Kicks, which is the cheapest crossover utility vehicle you can buy today. The new Nissan Kicks, introduced as a 2018 model year vehicle, embodies many basic principles but expands on them ever so slightly to fit the model of its target demographic, which reaches deep into millennial groups. The subcompact size of the Kicks is the first outlier to attract young folks followed up with its cheeky looks. 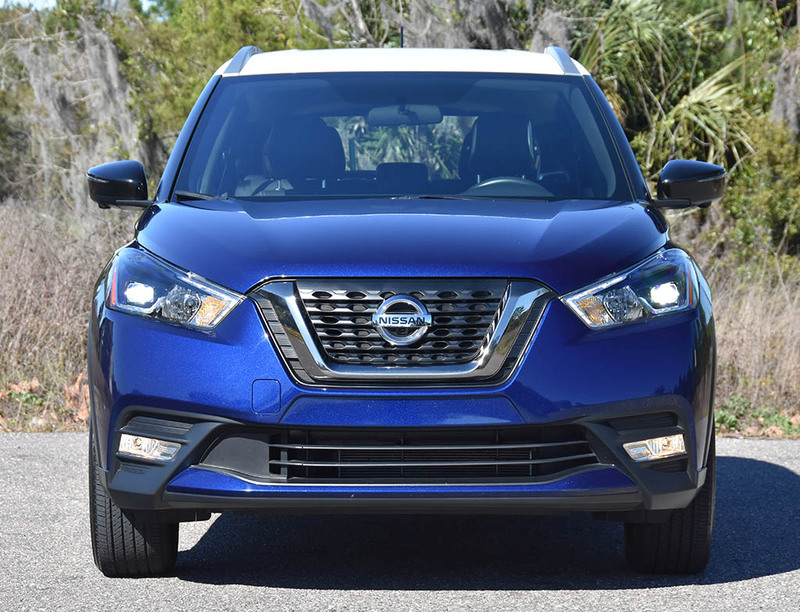 On the outside of the new Nissan Kicks is much to signify the Nissan branding and design language in its latest lineup of crossover vehicles and passenger cars. 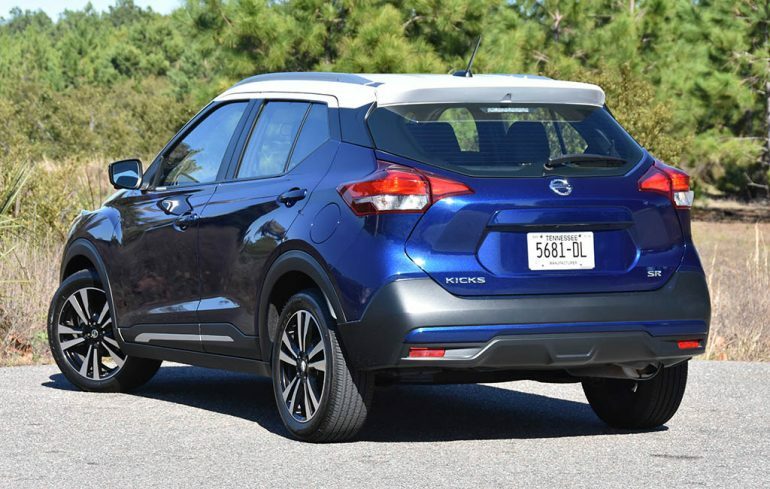 In a way, the new Kicks looks the part of an even smaller version of the new Nissan Rogue Sport, which isn’t a bad thing considering the Rogue Sport’s growing popularity. 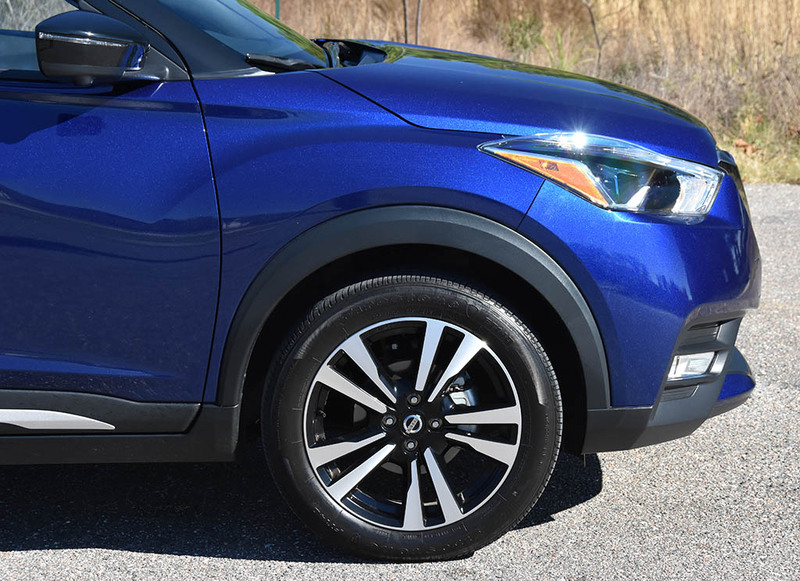 The edgy design of the Kicks makes a bold statement from such a small vehicle, which is also a good thing – all the way from its accented colored white roof, chiseled body lines, to the stylish 17-inch wheels and LED daytime running lights. 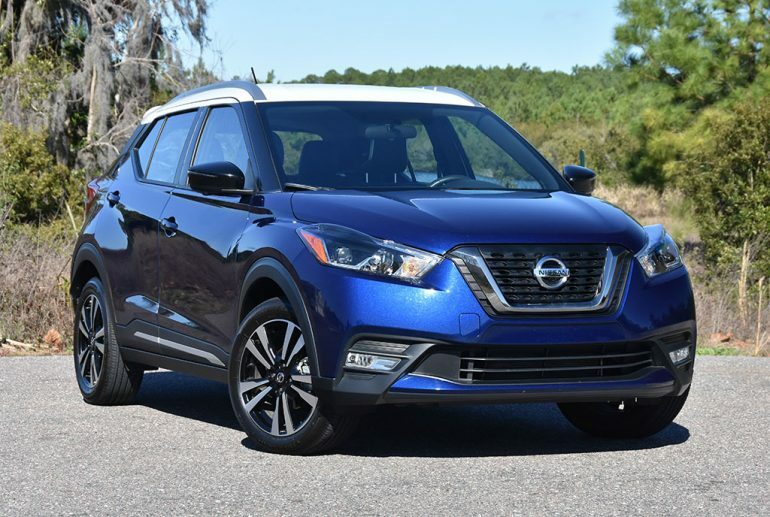 In the area of performance, the Nissan Kicks is lacking but for most who will dive into such a “small” but growing segment may find the Kicks’ power ample. 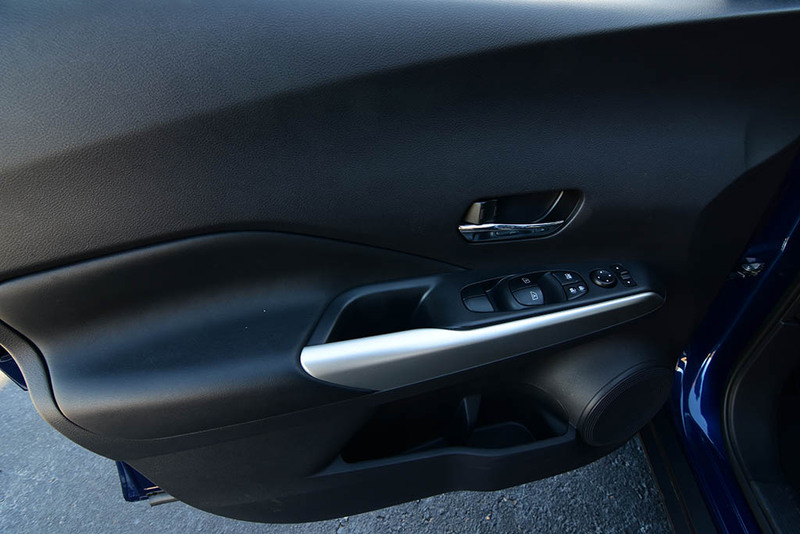 However, I find that the Kicks could use some extra oomph only having 125 horsepower and 115 pound-feet of torque from its 1.6-liter 4-cylinder engine. 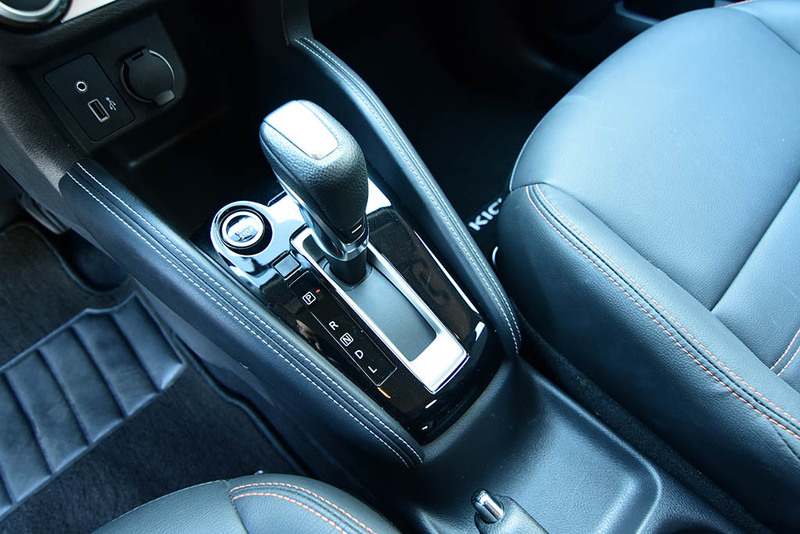 Adding insult to injury is the Continuously Variable Transmission (CVT) that doesn’t do the small 4-banger any justice when transmitting power to the front wheels, which is the only configuration available for the Kicks. 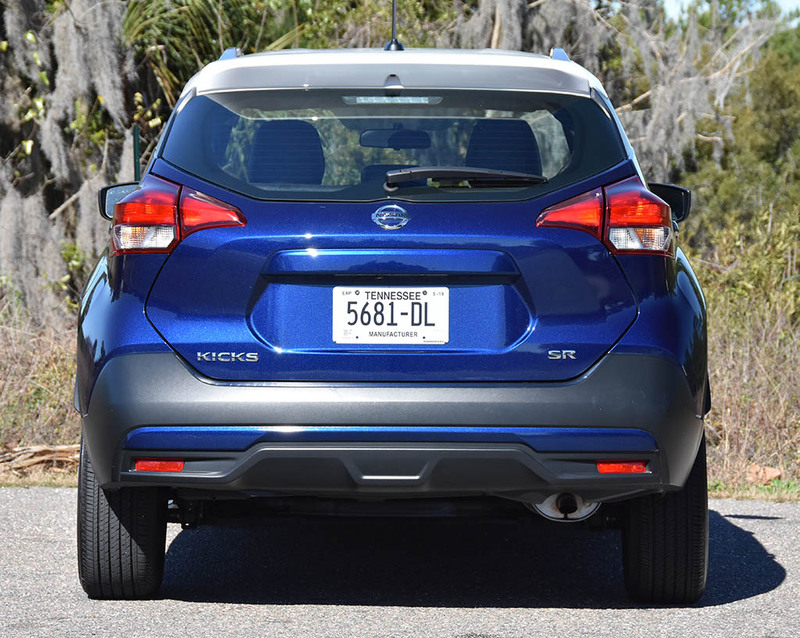 Not having the option of all-wheel-drive is a takeaway from its utilitarian and tall stature leaving the Kicks out in the pasture to be perceived by enthusiasts as nothing more than a tall and lifted Nissan Versa Note. 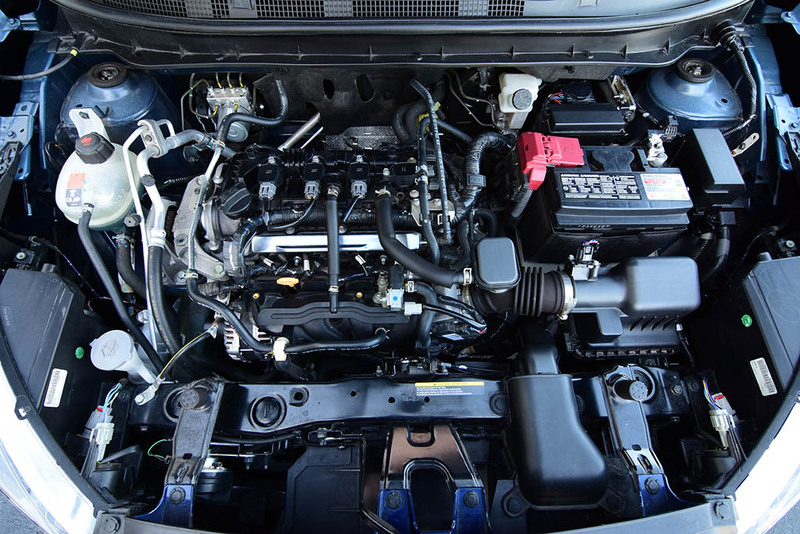 The CVT is efficient at times but saps any fun or direct feel of power transmitted to the wheels. 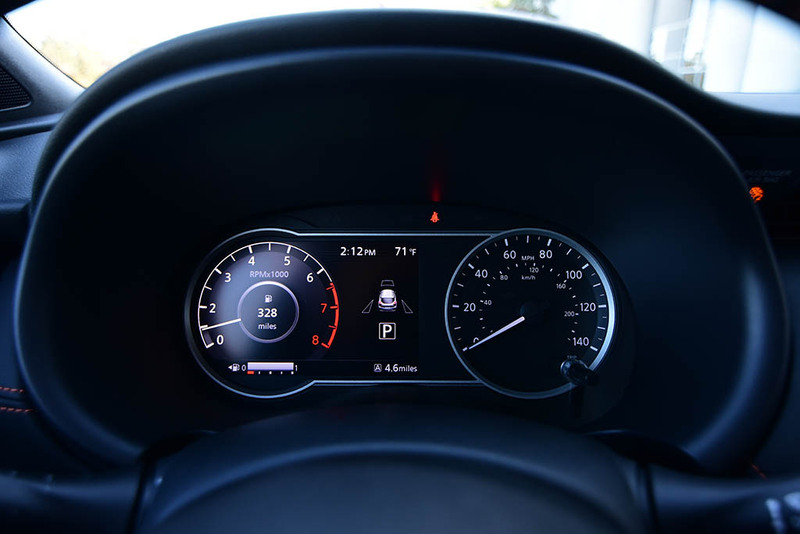 Moreover, the CVT often prevents the initial grunt of the engine to get the Kicks moving up to speed, which takes nearly 10 seconds to reach 60 mph from a standstill. The Kicks also feels spongier in its handling and ride quality but appears to be mostly compliant once you’re in motion and settled on a straight, even surface. 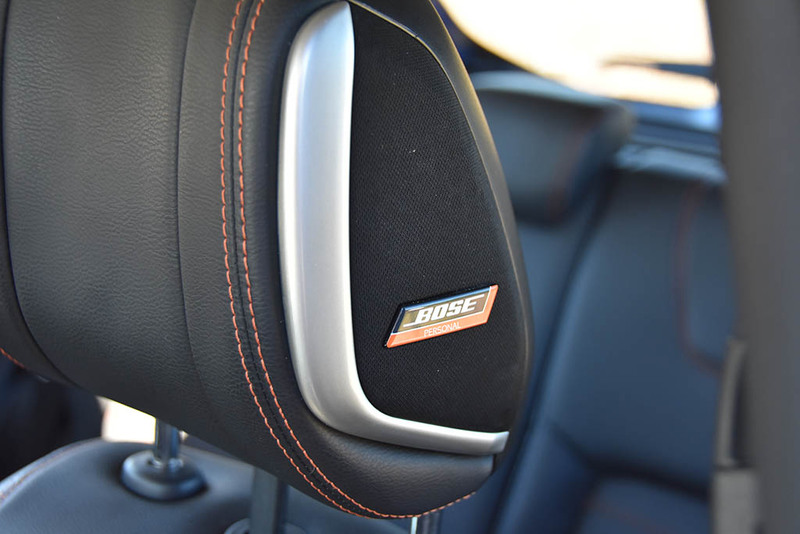 There isn’t much sportiness to the way the Kicks drives, and it can get a bit buzzy in the noise department when you attempt to accelerate. 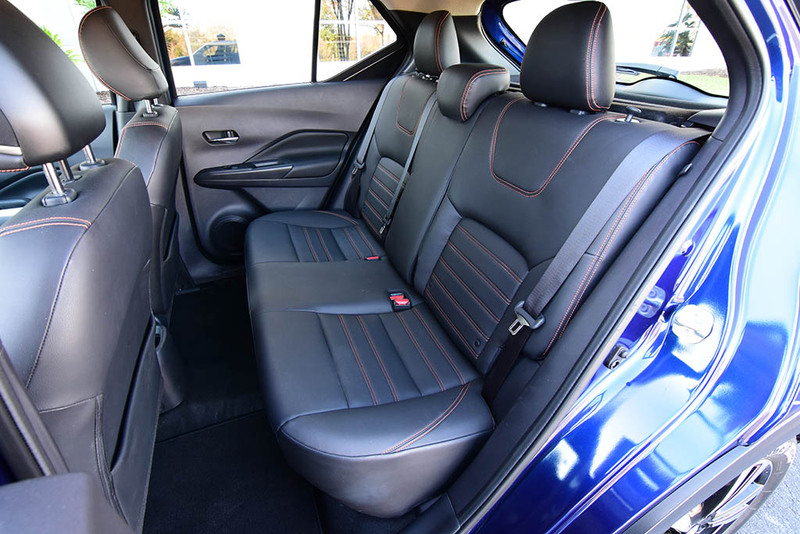 There is some confidence inspired in the Kicks when driving but only when you’re well within the confines of legal limits on the road – anything outside of that the Kicks isn’t going to make you feel like you’re winning. The only winning I see is at the fuel pump where the Kicks gets a respected 31 mpg city and 36 mpg highway. 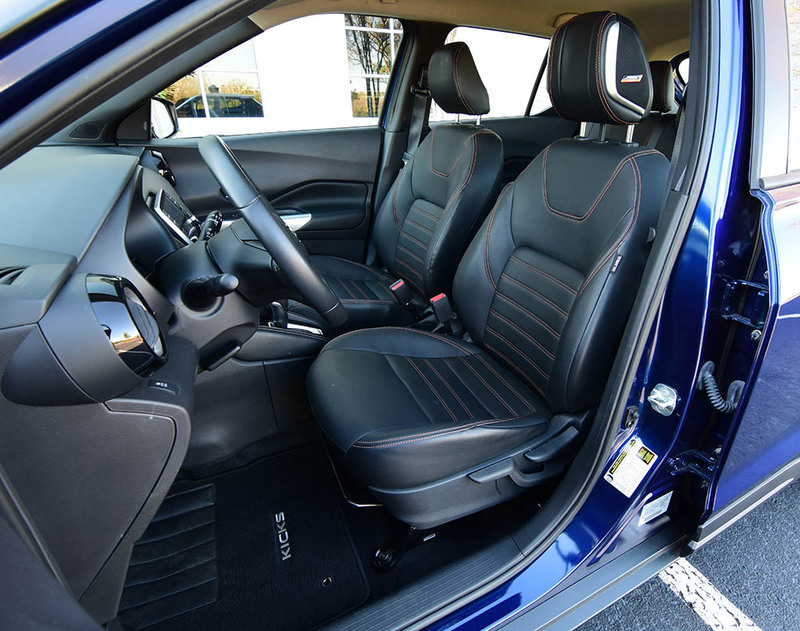 The interior of the new Nissan Kicks is on the smallish side just as you would expect from its exterior dimensions. 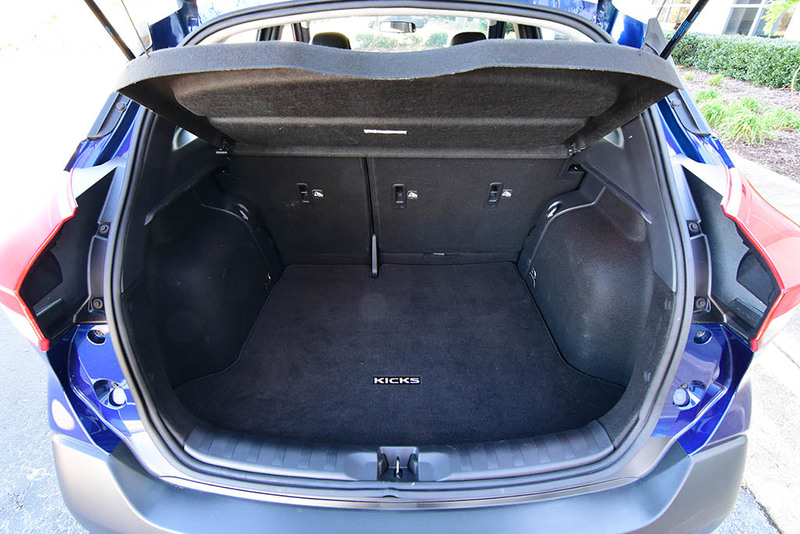 However, there is surprisingly some usable space in the cargo area that is larger than average for the subcompact segment. The seating areas are decent but start to become tight when there are passengers. Four passengers is doable but five is pushing the envelope a bit. For creature comforts, the Nissan Kicks attempts to give younger buyers a few items to enjoy for my top-trimmed Kicks SR test vehicle, such as heated front seats, Apple CarPlay and Android Auto integration fed through a 7-inch touch screen, LED headlights, fog lights, leather-wrapped steering wheel, automatic climate control, blind-spot monitoring, automatic emergency braking, and rear cross-traffic alert with a 360-degree surround-view camera system. 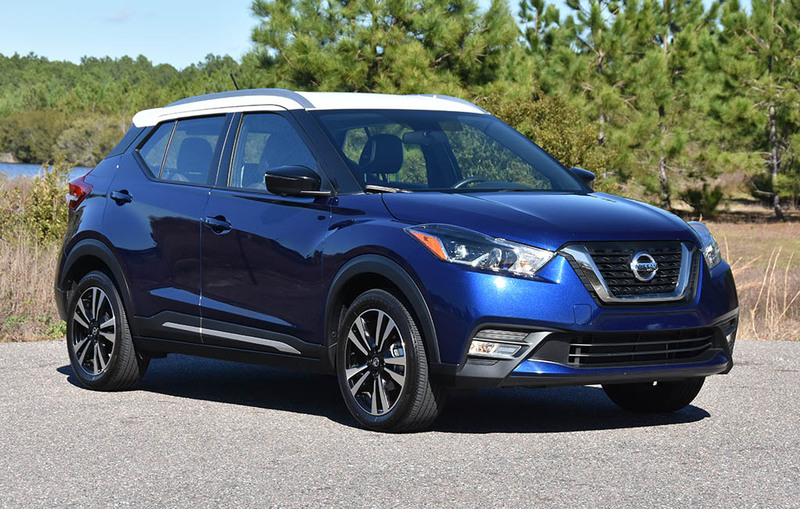 The Nissan Kicks starts at a low price of just $18,540 and runs up to just over $21,000 out the door for my top-trim Kicks SR test vehicle.